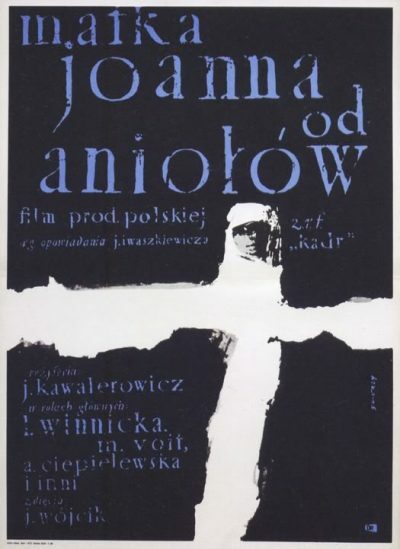 The film script is based on the famous story by Jaroslaw Iwaszkiewicz. The action is set during the 18th century at a remote convent in the Smolenszczyzna region. The nuns together with their prioress Joanna, are possessed by demons and a young priest Suryn comes to exorcise the convent. However his measures of prayer and mortification do no have any effect and moreover, the priest begins to experience the weird atmosphere of anxiety which pervades the convent. He is torn by spiritual dilemmas and feels lost. He does not realize that his problems stem from a purely secular love towards prioress Joanna and when she pushes him to take a dramatic step, the priest decides to purge the woman, even at the price of mortal sin.